In the first special report in this series, RIR looks at the lives of the members of various Indian Diasporas in the Russian capital. More than 10 percent of the 10,000-strong Indian community in the Russian capital trace their roots to the state of Bihar. A large number of Moscow’s Biharis are involved in the pharmaceutical, textile, petrochemicals, consumer goods and travel industries. As is the case with people from the rest of India, Biharis in Moscow usually prefer to settle down in two areas – in the southwest of the city, probably due to the fact that the Russian People’s Friendship University and the diplomatic corps are in vicinity, and in the north of Moscow, in the area where the TV centre is situated. For those concerned with their children remaining in touch with their native language, a Hindi class is held at the Jawaharlal Nehru Cultural Centre (JNCC) and the Indian school (Kendriya Vidyalaya). Jagat Deo first came to Russia in 1992 to study and completed his masters in mining engineering. For Jagat settling down in Russia wasn’t a problem because his elder brother who lived in Moscow and his numerous Russian friends helped him with boarding and lodging. He says he enjoys socialising with both Indians and Russians. During his student days, Jagat made friends with a lot of Russians with whom he is in frequent contact till date. “Like Indians, Russian people are very sincere, hospitable and true friends. And I think Moscow is the most beautiful city in the world,” he says. 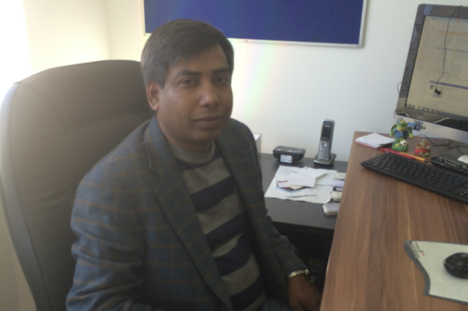 Jagat’s favourite places in Moscow are, like for many other expats, Kremlin, Red Square and Old Arbat street. He has also visited other Russian cities such as Nizhny Novgorod, St Petersburg, Kazan and even less-touristy Magnitogorsk. But he laments that young Russians today prefer to adopt European culture and are not well aware of their great historical past. Anjani Kumar emphasises that most Biharis in Moscow while respecting and appreciating Russian culture have their own lifestyle and don’t forget their own roots. The Overseas Bihar Association even managed to bring Sonu Nigam to Moscow for a concert last year. When Anjani Kumar came to Russia in 1993, he didn’t suffer from lack of information. He was constantly in touch with Russians in India so he was ready for a move when, after working for a while with an Indian company, which had operations in Russia for more than 45 years, he was sent to Moscow to look after business in Russia and in other CIS countries. Also he says most of his Bihari friends living in Moscow studied in Russian universities which helped them understand Russian culture and lifestyle better. As every person who has lived long enough in Moscow, Anjani Kumar has places where he enjoys taking a stroll after a busy day to relax and reenergize. Apart from the historical centre of the city, one of those places is Park Pobedy (Victory Park). Another thing that he loves about Russia is summer in Siberia. He is well-travelled and has visited a lot of cities in Russia including St Petersburg, Samara, Ryzan, and even as far as Yekaterinburg, Tyumen and Tomsk.